← Release 341: SENSEI! NINOMIYA-KUN! SENSEI! The guy is a god. 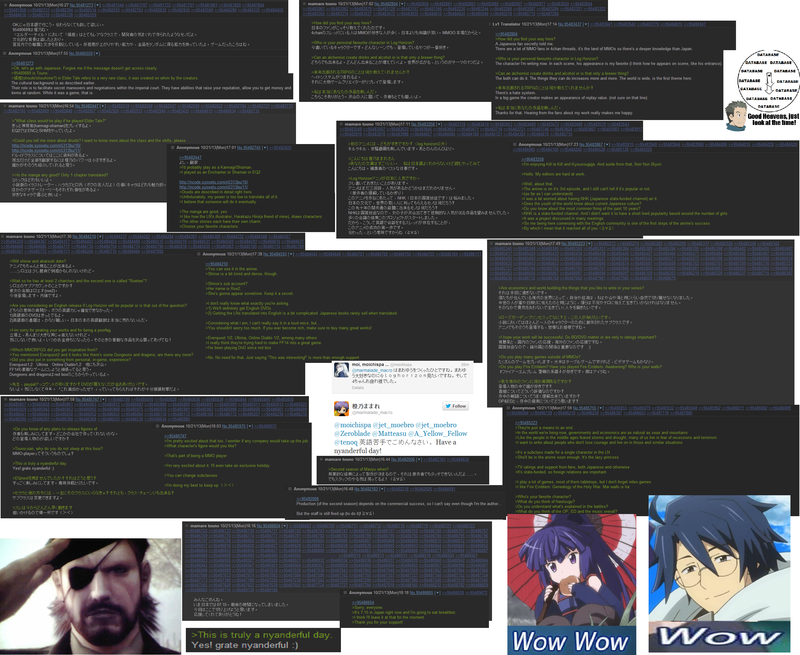 Wowowowowow, Mamare was speaking in /a/ ?This is just unbelievable awesome! Even if he didn’t answered your question, the answer was pretty much predictable, lol… Anyway, congrats with catching some of the SUNLIGHT! !